"You know what I got for Christmas? Oh, it was a banner f'ing year at the old Bender family. I got a carton of cigarettes. The old man grabbed me and said, "Hey, smoke up Johnny." I forgot all about that. Of course, it's been ages since I've watched that movie. 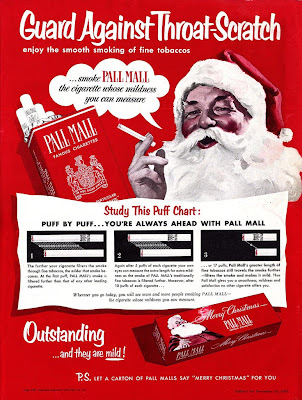 That reminds me of my dad, who smoked Pall Mall non-filtered for 40 years. When I was a teenager I pinched a couple of them and got so so sick. Thanks for the memories Hank!